HOUSEHOLD STORAGE AND PERSONAL STORAGE SOLUTIONS IN WILMINGTON, RALEIGH, DURHAM, BURLINGTON, & GRAHAM. If you need to put your furniture away while you’re prepping for a move, you need a spacious household storage unit that can comfortably and safely hold all of your pieces. Likewise, if you have too many seasonal clothes and shoes clogging up your closet, you need a large enough personal storage space to keep and rotate your wardrobe. Cardinal Self Storage provides homeowners and renters options for what to do with their stuff while their lives are in transition. Home storage can be a holding tank for your things when you are selling a house or fixing it up and need to clear out the space. Residential storage may mean moving a few boxes from the basement or attic and keeping them safe elsewhere. Personal storage can include anything from photographs to a book collection to the contents of a wine cellar. We offer home storage solutions for all situations, whether it is whole house storage or utilizing home office storage to redesign a work area. People can benefit from household storage in multiple ways. Sometimes a homeowner needs to pare down their belongings, but does not yet want to get rid of precious items. Often, a move from one location to another requires at least some household goods to find a temporary home. Downsizing – that new, smaller place in the great neighborhood just will not hold it all. De-cluttering – if you can no longer see the carpet, it may be time to store a few things. Home office storage – stow documents off-site so there is space to work. Remodeling – protect furniture and precious items while the job gets done. Moving – keep things safe until the new place is ready for you. College kids – welcome them home at break, but leave their stuff near campus for next term. In Raleigh, Burlington, Graham, Durham, and Wilmington, call Cardinal Self Storage today to ask how home storage can make a difference. 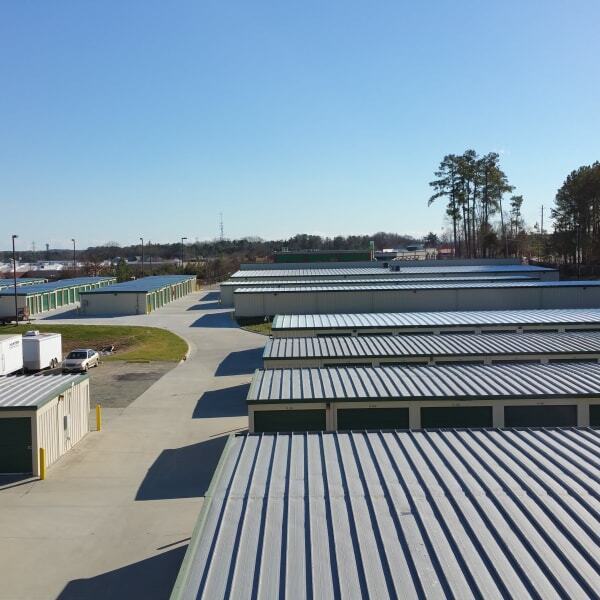 We have ample boat and RV storage, too. Rely on your neighborhood Cardinal Self Storage location to make it easy! Not sure which kind of household storage or personal storage unit you need to store all of your belongings effectively? We’re more than happy to recommend a storage unit for your needs—simply tell us what you need to store so we can make an accurate recommendation. If you’re worried about your possessions while they’re in storage, don’t be. In addition to offering an incredibly clean and easily accessible facility, we maintain ample security to ensure your belongings are safe while you attend to other important matters. Use the “Locations” tab to find our facility nearest you and to contact that office directly. Or, you can visit our contact page if doing so is more convenient.